GWget is a wget with graphical user interface. It is developed by David Sedeño Fernández and it is part of the GNOME project. 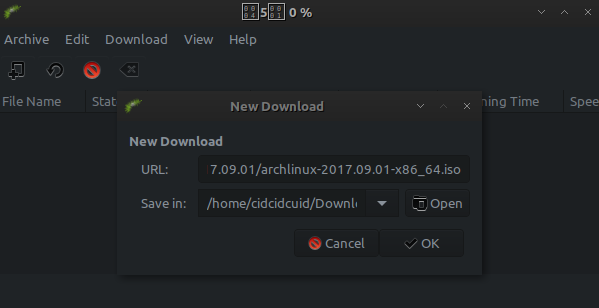 Resume: By default, gwget will tries to continue any download. Notification: Gwget tries to use the Gnome notification area support, if available. You can close the main window and gwget runs in the background. Drag & Drop: You can add url to the main gwget window or the notification area icon to add a new download. 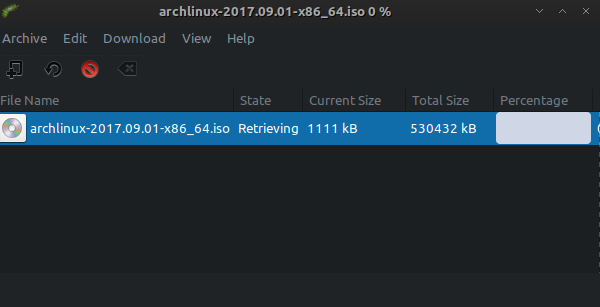 Recursivity: Gwget detects when you put a html, php, asp or a web page dir in the url to download, and ask you to only download certain files (multimedia, only the index, and so on). Firefox Extension: Fireget (But it's not updated since 2012). It will be installed on internet directory / start menu. It can't be installed, maybe it's not updated.